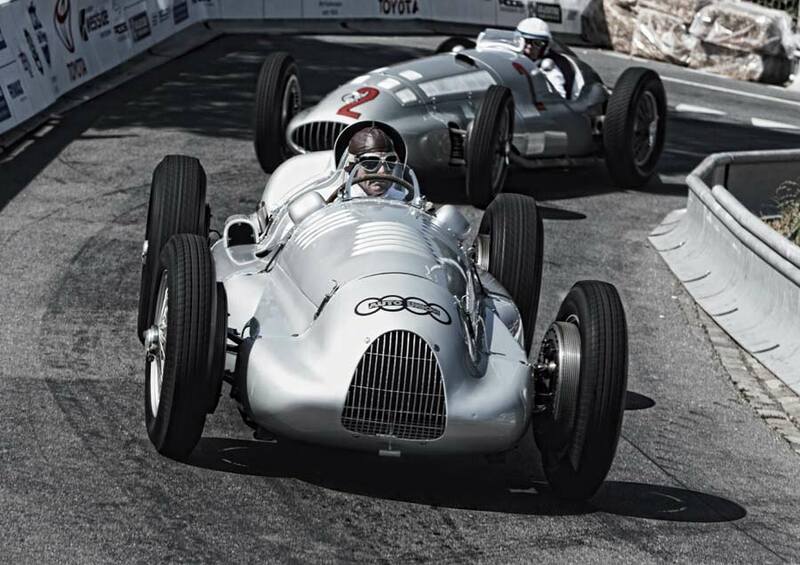 Visitors attending this year’s Goodwood Festival of Speed will get an extra treat from Audi Tradition, after confirming that not one – but two Auto Union Silver Arrow cars will be present at the legendary event. The cars’ drivers are pretty special too, with former F1 star Hans-Joachim Stuck there to pilot the car his father drove in his last race for Auto Union – an authentic replica of the 1939 Auto Union Type D twin-supercharger beast. Also in attendance will be Pink Floyd drummer, and former 24 Hours of Le Mans competitor, Nick Mason. A firm believer that cars – no matter how valuable – are meant to be driven, Mason will be in the Auto Union Type C in which took the European championship back in 1936, in the hands of Bernd Rosemeyer. Triple Le Mans winning driver Marco Werner will be thrilling fans with something a little more modern – the R10 TDI; the car credited with making Audi the first brand to succeed at the 24 Hours of Le Mans – with a diesel-engined car.